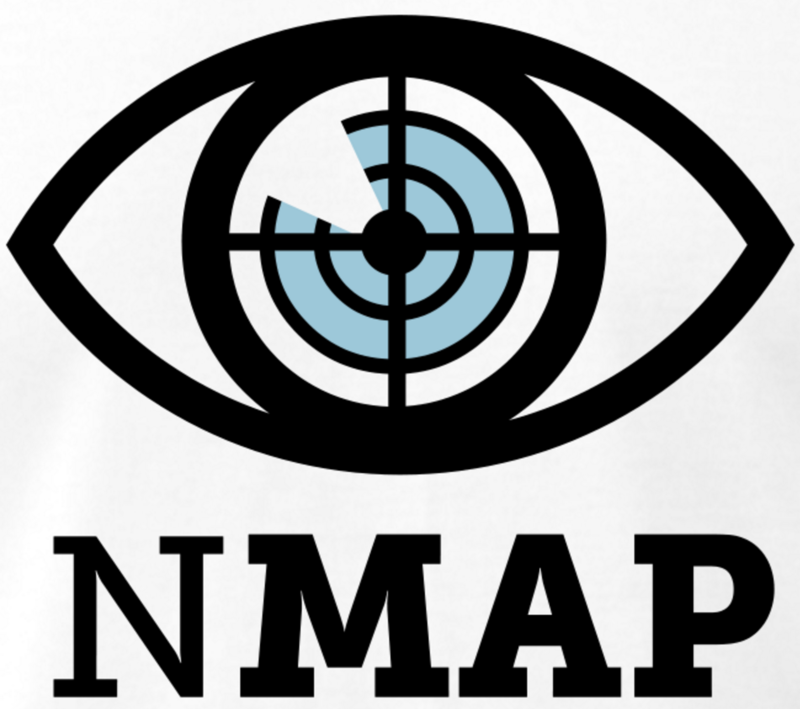 If you're using a Free Software OS such as GNU / Linux or some other proprietary OS such as Mac OS X or Windows and you need a quick way to check all running IPs hosts / nodes locally on your current connected Ethernet or Wireless network, here is how to do it with nmap (Network exploration and security tool port scanner). So why would you do scan that? Well just for fun, out of curiousity or just because you want to inspect your local network whether someone unexpected cracker did not break and is not using your Wi-Fi or Ethernet local network and badly snoring your network listening for passwords. On Deb based GNU / Linux-es such as Ubuntu / Mint / Debian etc. and run above commands as administrator user. –script-updatedb: Update the script database. –script-help=<Lua scripts>: Show help about scripts. 's' (seconds), 'm' (minutes), or 'h' (hours) to the value (e.g. 30m). –max-retries <tries>: Caps number of port scan probe retransmissions. Host is up (0.00011s latency). Some bigger corporate networks are configured to run a couple of local networks simultaneously such as 192.168.168.0.0/24, 192.168.1.0/24, 192.168.2.0/24 etc. Note that here I purposefully choose .110 IP because often the 192.168.1.1 is an IP assigned to the router and that might cause some IP conflicts and trigger alarms in the router security which I want to avoid. If you're scanning not on your own network but on a public connected network you might prefer to not use the ping scan as this might identify you in router's firewall as possible intruder and could cause you headaches, besides that some network connected nodes are connected to not respond on a ping scan (some networks purposefully disable pings at all) to avoid possibility of the so called ping flood that might overload a router buffer or bring down hosts on the network beinf flooded. Host is up (0.0036s latency). Host is up (0.000012s latency). In case if above scan fails due to firewalls and you have a ping scan disabled on the network too you might also try out the so called nmap connect TCP connect scan (-sT), that would avoid the SYN scan. The -sT is useful also if you're not possessing root superprivileges on nmap running host. Note that connect scan could take ages as nmap tries to connect every port from default port scanned ranged on remote found hosts that are reporting as up and running. If the shown results lead you find some unknown computer / tablet / mobile / phone device connected to your network, then connect to your router and thoroughfully inspect the traffic flowing through it, if you find intruder cut him off and change immediately your router passwords and monitor your network periodically to make sure the unwanted guest did not go back in future. If you have a server topology part of a project where 3 (A, B, C) servers need to be used to deliver a service (one with application server such as Jboss / Tomcat / Apache, second just as a Storage Server holding a dozens of LVM-ed SSD hard drives and an Oracle database backend to provide data about the project) and you need to access server A (application server) to server B (the Storage "monster") one common solution is to use NFS (Network FileSystem) Mount. NFS mount is considered already a bit of obsoleted technology as it is generally considered unsecre, however if SSHFS mount is not required due to initial design decision or because both servers A and B are staying in a serious firewalled (DMZ) dedicated networ then NTS should be a good choice. Of course to use NFS mount should always be a carefully selected Environment Architect decision so remote NFS mount, imply that both servers are connected via a high-speed gigabyte network, e.g. network performance is calculated to be enough for application A <-> to network storage B two sides communication not to cause delays for systems end Users. If the NTFS server has a hostname you can also type hostname instead of above example sample IP 1.2.3.4, this is however not recommended as this might cause in case of DNS or Domain problems. Also on server Storage B server, you have to have running NFS server with firewall accessibility from server A working. 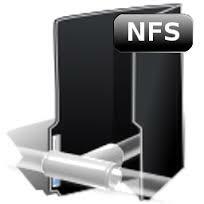 NTFS and google and experiment. Anyways, if you're not sure about wsize and and rise, its perfectly safe to omit these 2 values if you're not familiar to it. [Wed Apr 08 14:20:39 2015] [warn] pid file /var/run/apache2.pid overwritten — Unclean shutdown of previous Apache run? [Wed Apr 08 14:25:39 2015] [warn] pid file /var/run/apache2.pid overwritten — Unclean shutdown of previous Apache run? [Wed Apr 08 14:27:03 2015] [warn] pid file /var/run/apache2.pid overwritten — Unclean shutdown of previous Apache run? [Wed Apr 08 14:27:53 2015] [warn] pid file /var/run/apache2.pid overwritten — Unclean shutdown of previous Apache run? [Wed Apr 08 14:30:48 2015] [warn] pid file /var/run/apache2.pid overwritten — Unclean shutdown of previous Apache run? [Wed Apr 08 14:31:21 2015] [warn] pid file /var/run/apache2.pid overwritten — Unclean shutdown of previous Apache run? [Wed Apr 08 14:32:40 2015] [warn] pid file /var/run/apache2.pid overwritten — Unclean shutdown of previous Apache run? [Wed Apr 08 14:38:32 2015] [warn] pid file /var/run/apache2.pid overwritten — Unclean shutdown of previous Apache run? As you can read the most likely reason behind above errors preventing for apache to start is /var/run/apache2.pid unable to be properly written due to lack of disk space or due to disk quota set for users including for userID with which Apache is running. repquota: Mountpoint (or device) / not found or has no quota enabled. repquota: Mountpoint (or device) /var not found or has no quota enabled. So obviously the only few left possible reason for Apache failing to start after invoked via init script is either due to left tainted semaphores or due to some server hardware RAM problem / or a dying hard disk with bad blocks. So what are Semaphores? Generally speaking Semaphores are apparatus for conveying information by means of visual signals between applications (something like sockets).They're used for communicating between the active processes of a certain application. In the case of Apache, they’re used to communicate between the parent and child processes, hence if Apache can’t properly write and coordinate these things down, then it can’t communicate properly with all of the processes it starts and hence the Main HTTPD process can't spawn probably its childs preventing Webserver to enter "started mode" and write its PID file. To check general information about system semaphore arrays there is the ipcs -s command, however my experience is that ipcs -a is more useful (because it lists generally all kind of semaphores) including Semaphore Shared Memory Signals which are the most likely to cause you the problem. As you see in my case there is a Semaphore Arrays which had to be cleaned to make Apache2 be able to start again. As you can see the number of maximum semaphores is quite large so in my case the failure because of left semaphores was most likely due to some kind of Cracker / Automated bot scanner attack or someone trying malicious against the webserver or simply because of some kind of Apache bug or enormous high load the server faced. Last Saturday me and my wife Svetlana together with a Christian friend family (Tsvetomir and Dimitrina with their < 2 years old boy – Boris) went to a small 1 day pilgrimage trip to Ruen Monastery – (Ruenski manastery). 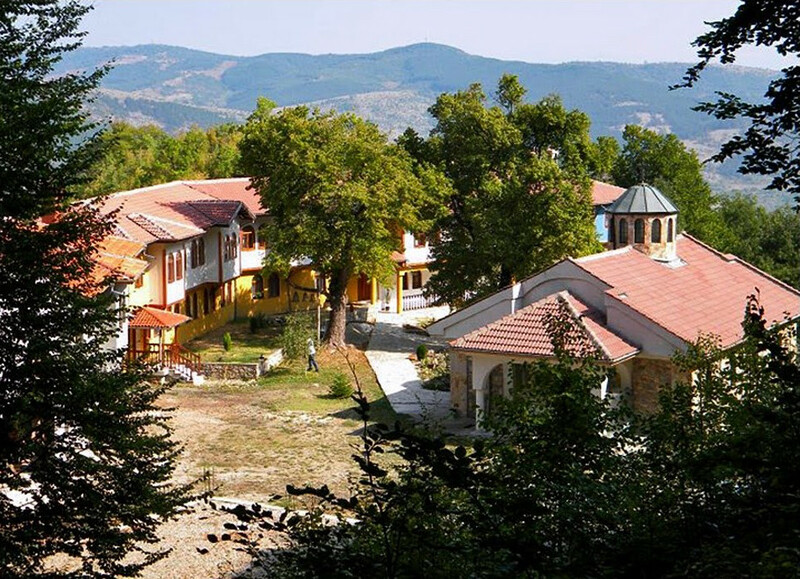 The holy cloister is situated very near Skrino village, the birth village of greatest Bulgarian saint – saint John of Rila. 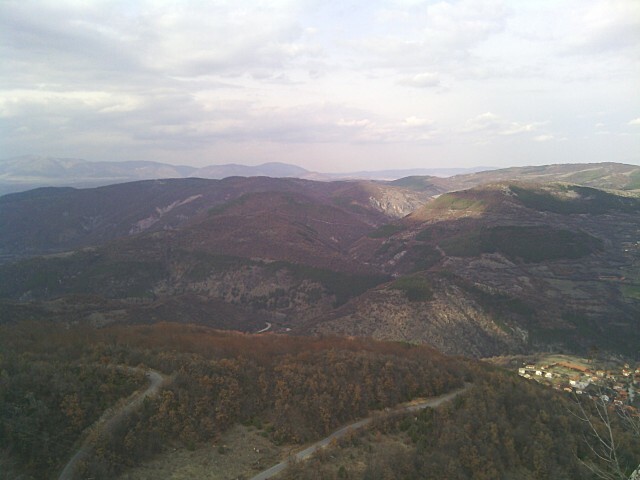 The village is located about 90 km from Sofia and is very near to town of Boboshevo. To reach Ruen Monastery when coming from Sofia, the traveller has to move in direction of "Kulata / (The Tower)" and to pass the village of Djerman and Usoika. Then before entering the village of Skrino there is a 5 km steep car road leading to the monastery. Saint John of Rila lived in Skrino until his twenties and due to Christian tradition he accepted monkhood in the nearby monastery next to Skrino and a bit later started a hermit life dwelling himself in his first hermit cave situated near Skrino. 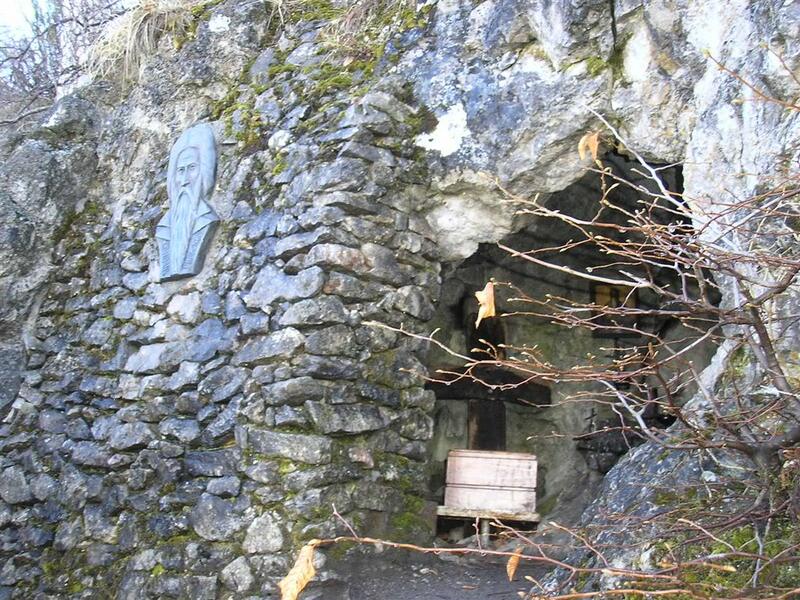 The Cave of hermit dwelling of Saint John of Rila is now situated about 200 meters from Ruen Monastery and represents a tiny cave encraved in a rock. The rock is so small that maximum of 2 people can be in cave together. It is amazing how a man could live in such a small space. Current Ruen monastery Church is recently rebuild in 1995 and the rest of monastic buildings are completed in y. 2002, but according to history it is known a monastery was existent on same place known in medieval times under name "The Holy Father" in XV century. Veneration to Saint John of Rila was so high in mid centuries that obviously people recognized Saint John of Rila among the greatest saints. 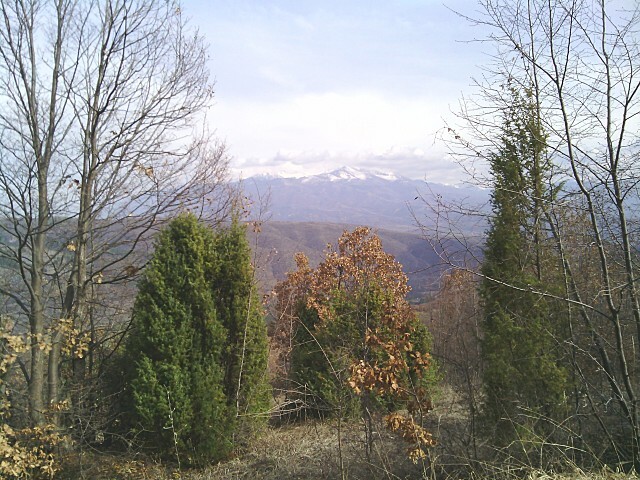 The nature view near monastery is breath taking .. On the road to it there is Struma river the monastery itself is situated in Vlahina mountain from it there is a sightview of part of Rila mountain. Near the monastery buildings there are two paths one leading to the Cave of Hermitage of Saint John of Rila and another one leading to a place with a Cross visible from throughout the region. 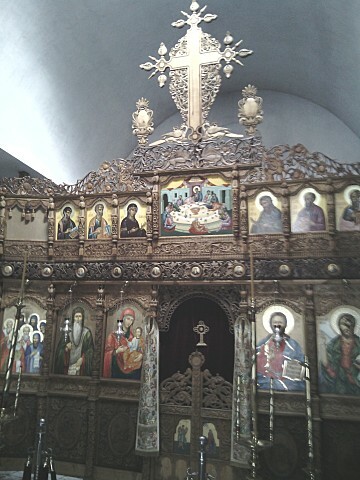 The monastery though being among the newest rebuilded ones in Bulgaria has already 3 saint holy relics, one of which is Holy relics from Saint George the Victorious. We had the blessings by God's grace to also meet RuenAbbot Father Ioan (John). We asked the father how many monks are inhabiting the monastery just to get the humorous answer that half of the inhabitants are present (meaning currently in the monastery there are only 2 monks). Fatehr John was evidently very young kindhearted person probably in his 30s. He was quite hospitable and invited us for tea and cookies in the small monastic dining room. We had quite a few spiritual talks and spoke on hardship of being a monk in nowadays confused world. 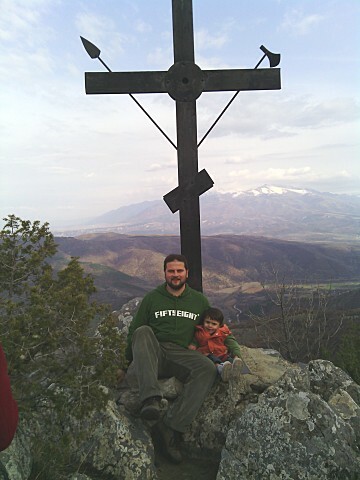 On our way back before entering Boboshevo we stopped to see and pray near an ancient Church from the 5th century consecrated under saint Theodor (Stratilat) – a Christian martyr saint from the 4th century who lived near Black Sea. 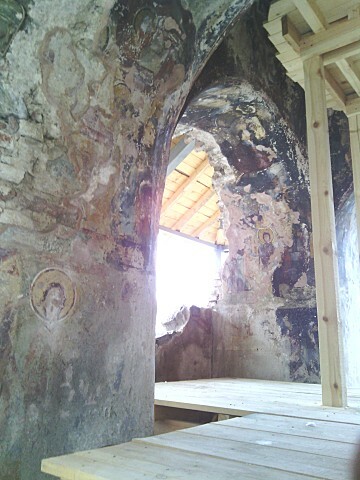 The Church is an unique Cultural monument as it contains wall patings probably dating back to at least 10th century or even earlier. Lets say you're an admin involved in webhosting and due to a programmer's mistake, you end up with directory full with files with extension in upper cases but for actual version of website (all pictures are red only in lower cases), hence would like to transform these to lower cases. Above commands will install a bunch of other dependency packages. Next install mod-security deb. Run below command, to install and activate modsecurity. 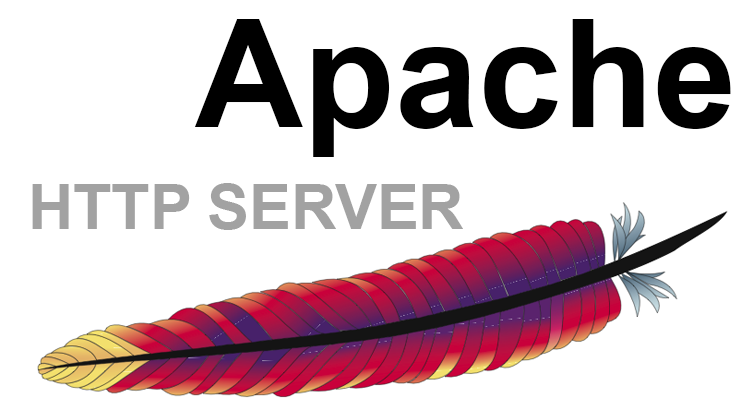 Note that installing libapache-mod-security will also automatically restart the Apache server. Important part of conf is "Include "/etc/modsecurity/*.conf"" line. /etc/modsecurity directory is main place to set up and configure modsecurity. This configuration file, combined with mod-security.load, do everything necessary to load the modsecurity into Apache server. So far, modsecurity is loaded into the apache server, but isn't stopping any attempts of hack scripts / Viruses / or automated tools to exploit Vulnerabilities in Web Applications. To make modsecurity start filtering requests, should activate modsecurity specific configuration and load some regular expression rules. This makes modsecurity to block requests based on its (pre-written) developer rules. Other settings in this file that are useful to know about are the debug controls, very useful, whether you have to debug problems with sites not properly opening due to server enabled mod_security. This controls how much information is stored in modsecurity's "audit log as well as keeps track of attacks launched to server. Default debug level of 3 is pretty much and stores "everything". This is dangerous as a huge logs are produces on busy servers. Modsecurity works by using rules by pre-defined patterns used to recognize when your website/s is being probed or attacked. Once installed modsecurity base package as a dependency modsecurity-crs package is installed. modsecurity-crs contains addition free core rule set. Current Core rule from modsecurity.org are newer than version included with wheezy, thus rules lack a bit behind but this is only option whether using default debian bundled packge otherwise manual modsecurity recompile is required. We all know how bad it is to custom compile software on production machines, so custom compile experiments are really bad idea. Quickest way to activate rules is by symlinking from the actual config and rule files into the /etc/modsecurity config directory. This file provides some basic configuration directives for crs. Futher on, link each rule file in the base_rules and optional_rules directories using 2 tiny bash loops. Whether no fatal errors pop up and Apache starts normally, now modsecurity should be properly running. A sure sign that modsec works is 503 "Service Temporarily Unavailable" message from Apache. Alternatively examine server's modsec audit log file (default location in /var/log/apache2/modsec_audit.log) (grep the string MY_UNIQUE_TEST_STRING. You should see full transcript of the communication between your browser and server logged. Depending on amount of site traffic gets make sure to monitor size of file for some minutes to make sure it doesn't grow too big and it doesn't fill up quickly your HDD. Well now all fine your Apache server security is better for sure and by God's grace you should not have to deal with hundreds of hours of sites recovery after a bunch of client's websites are hacked. Moreover I could connect to the localhost SQL server with mysql -u root -p and it seemed to run fine. The error Error establishing a database connection meant that either something is messed up with the database or 192.168.0.2 Mysql port 3306 is not properly accessible. Host 'webserver' is blocked because of many connection errors; unblock with 'mysqladmin flush-hosts'Connection closed by foreign host. Thogh this temporar fix restored accessibility to the databases and hence the websites errors were resolved, this doesn't guarantee that in the future I wouldn't end up in the same situation and therefore I looked for a permanent fix to the issues once and for all. To make sure the assigned max_connect_errors=4294967295 is never reached due to Apache to SQL connection errors, I've also added as a cronjob. Now hopefully, this would permanently solve SQL's 'failure to accept connections' due to too many connection errors for future.